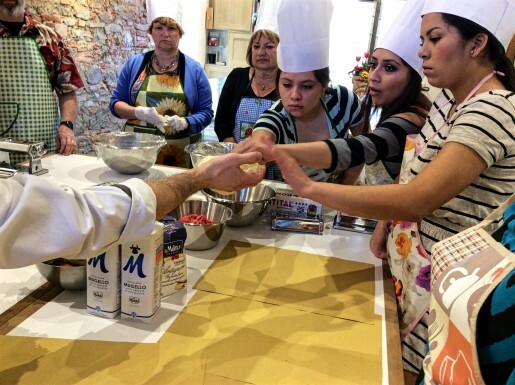 Pasta making at MaMa Florence is a hands-on experience. The orecchetiette we made is a water dough, so the Chef wanted us to all touch to feel its softness. 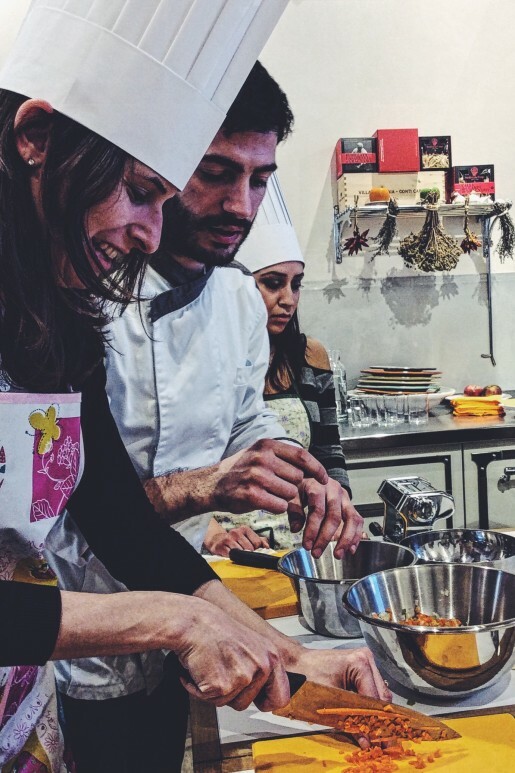 One thing I really like about the MaMa Florence Cooking School in Florence, Italy – besides eating – is that they offer classes and tours that go beyond the Florentine and Tuscan experience. 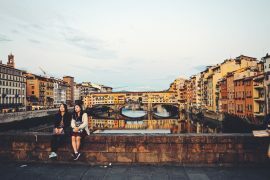 Not everyone has time to visit all of Italy while on holiday in Europe, so their classes, workshops, and tours makes it easy for travelers to experience more from one destination. Several people in my class had MaMa Florence organize all their travel activities. They will set you up with adventures that cover food and wine from various Italian regions – Tuscany to Puglia to Piedmont, and more. My cooking class hit two delicious regions. Ready for a virtual tour? The open kitchen layout makes it easy to observe and work. 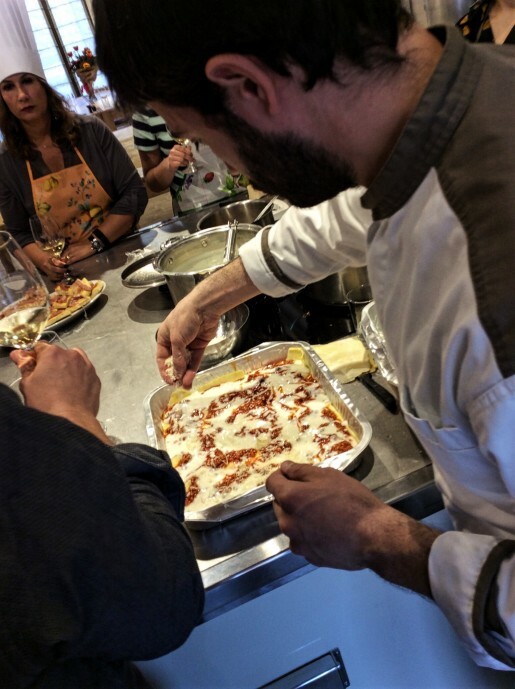 My half-day cooking lesson included instruction on two Italian pasta dishes, historical information on what we were making, and a meal of the final product complete with paired wines. Oh, and a chef’s hat for the session. The open kitchen has two stations so there is plenty of room to move around, work, and observe. My American heart was aflutter at seeing outlets to charge electronic devices. There is even wifi access. The day I visited was a pasta making session. We started with a traditional pasta from Puglia. Then, we made a Tuscan recipe, lasagna. I got some great tips on how to chop vegetables. Our first pasta of the day was orecchiette from Puglia in Southern Italy. 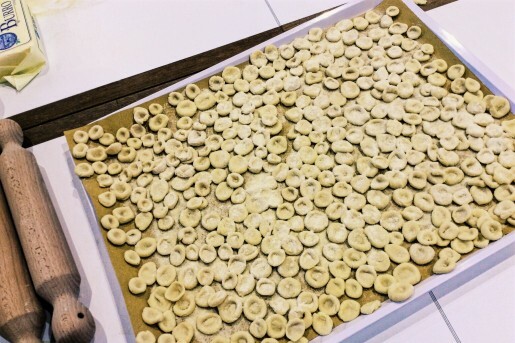 Orecchiette, which means ‘little ears’, gets its name from its round, concave shape. 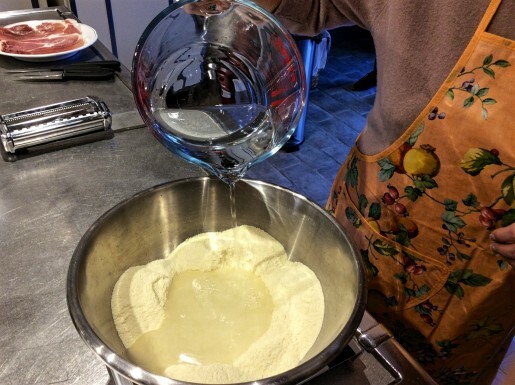 The pasta is made with semolina, water, and a touch of salt. Egg-less pasta is found more in Central and Southern Italy while the richer north does egg-based pastas. The chef who led our class explained that our dough should be watery (60 percent) to make it soft and easier to press. The pasta is chewy and the shape helps scoop the flavorful sauces. We had it with traditional broccoli rabe, which comes from Southeast Puglia. The bitter greens are cooked with red pepper flakes, garlic, and olive oil. A leafy green vegetable; edible parts are the leaves, buds, and stems. The buds look like broccoli, but do not form a large head. Orecchiette is made of a watery dough. 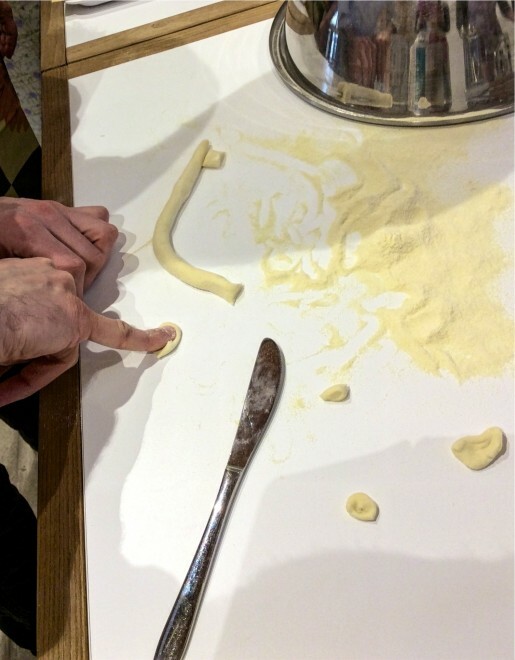 We were instructed to work the pasta with the little finger, like the nonne used to do. The pasta’s concave shape is perfect for scooping sauces. The final product, orecchiette with broccoli rabe. 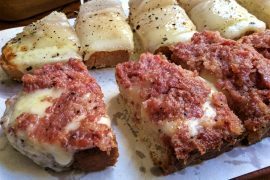 Often when tourists visit Italy, and particularly Tuscany, they return home smitten with the rich lasagna. The key ingredient is decadent Béchamel sauce. Made of milk, butter, and flour, the sauce tops every layer in the robust meat-based pasta dish. The lasagna we made was traditional to Tuscany with a bit of pork and milk added to the meat. They both add fat that helps to soften it. The chef told us to use milk, not cream. And, the warmer the milk the better – you can even warm it. He also explained that traditionally Tuscans added juniper to the meat to temper the strong flavor of wild meats, like cinghiale (wild boar). 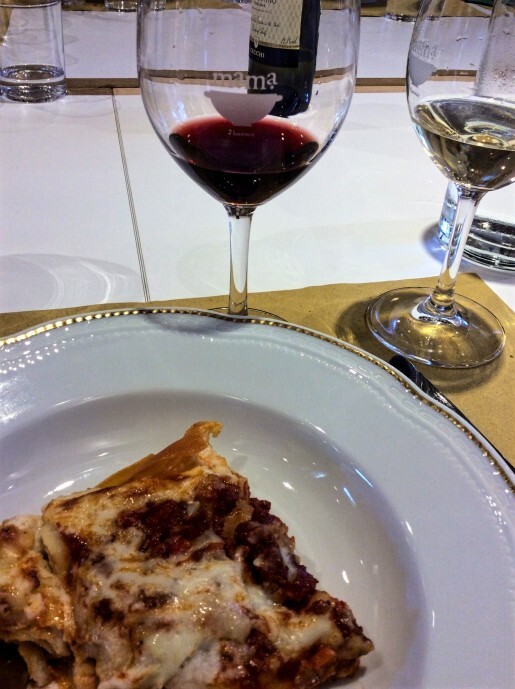 Tuscan lasagna incorporates white wine in the sauce. 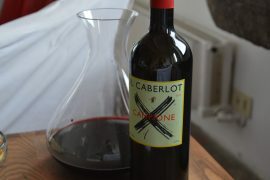 The chef explained you use red wine to strengthen a dish and white to sweeten it. In a medium sauce pan heat the milk without allowing it to boil. In another saucepan, combine butter and flour; allow it to blend while melting the butter over low heat. Combine the ingredients using a whisk, again don’t let it to boil. Add a pinch of salt, and then add the heated milk. Next, stir constantly over medium heat while allowing the mixture to reach the desired consistency. Do not allow it to boil as it will ruin the density of the Béchamel. The sauce will need to thicken somewhat but should not be too thick to pour. Making lasagna noodles at MaMa Florence. Each layer gets the tomato, meat mix, Béchamel sauce, and a healthy dusting of cheese. Finished Product #2: Lasagna al Forno. 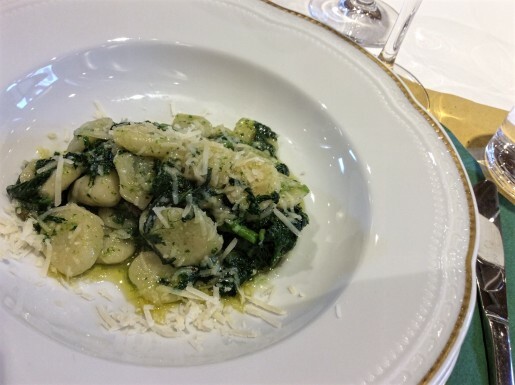 Get a complete Florentine adventure with MaMa Florence – food, wine, and more. If you are looking for a tour service to organize all your Florence travels, hit up MaMa Florence. 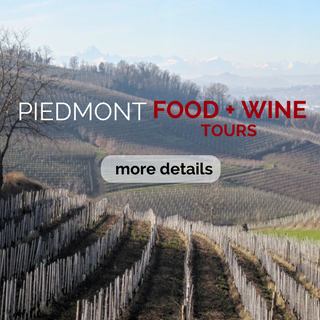 They offer a variety of cooking courses, wine tasting classes, tours including a Florence market walk, a joinable Chianti wine tour, and more. 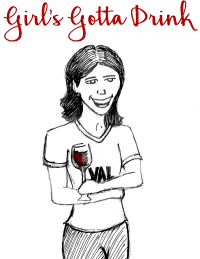 You can arrange a customized wine tour through their sister company, Le Baccanti gourmet holidays and events. They also offer private group and corporate programs. Book it! 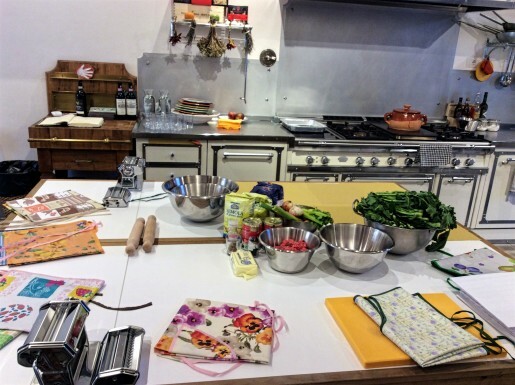 To see their calendar for cooking courses and workshops click here. 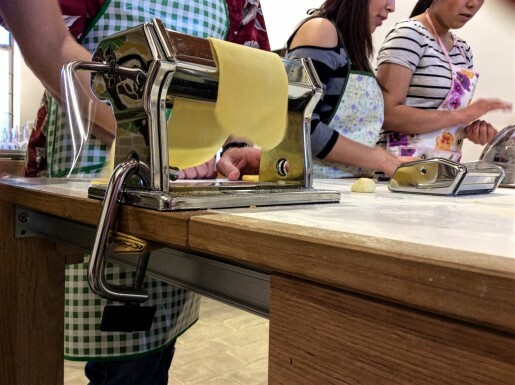 Pasta making at MaMa Florence is a hands-on experience. 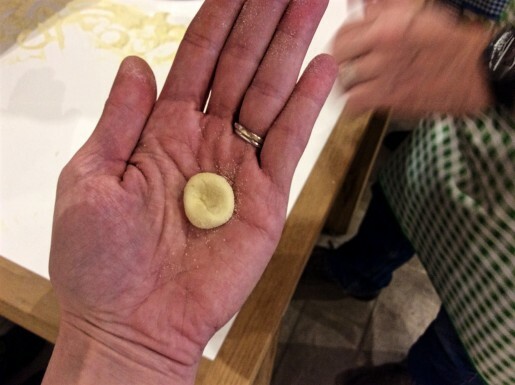 The orecchiette we made has a watery dough, so the chef had everyone touch it to feel its softness. What Italian pasta would you like to learn more about? Let us know below! 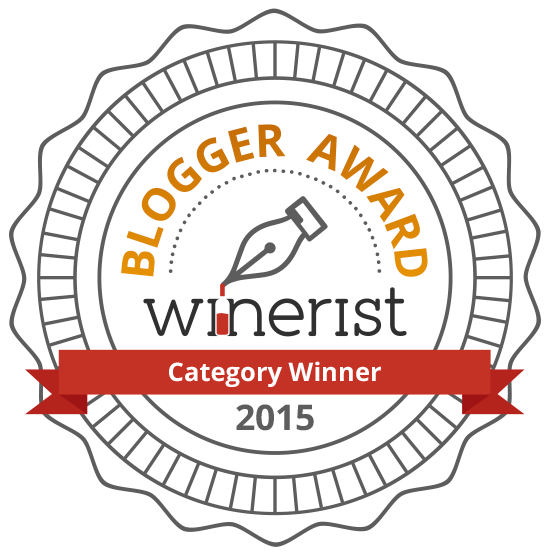 Next articleBarolo wine tour planning – things to know before you go!